These are very easy to make and lots of fun! 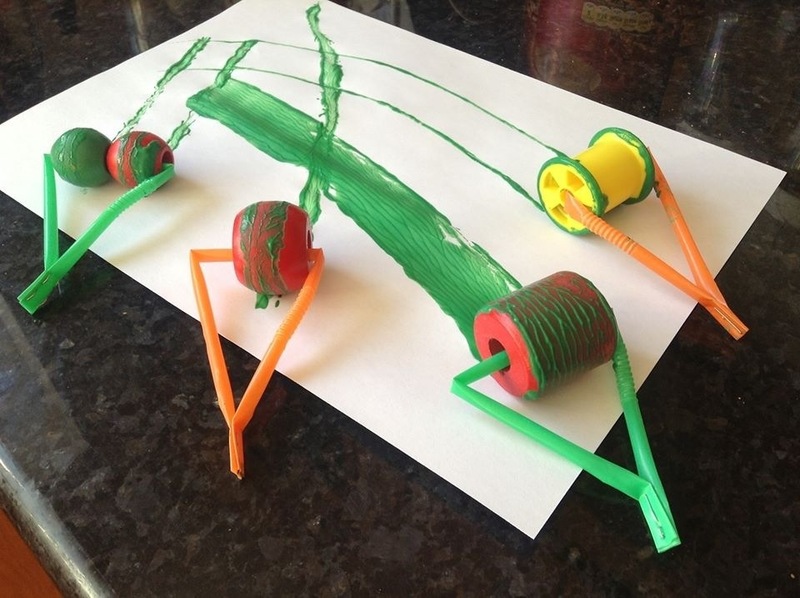 I used drinking straws, a stapler, giant beads and cotton reels to make a variety of rollers for paint play! 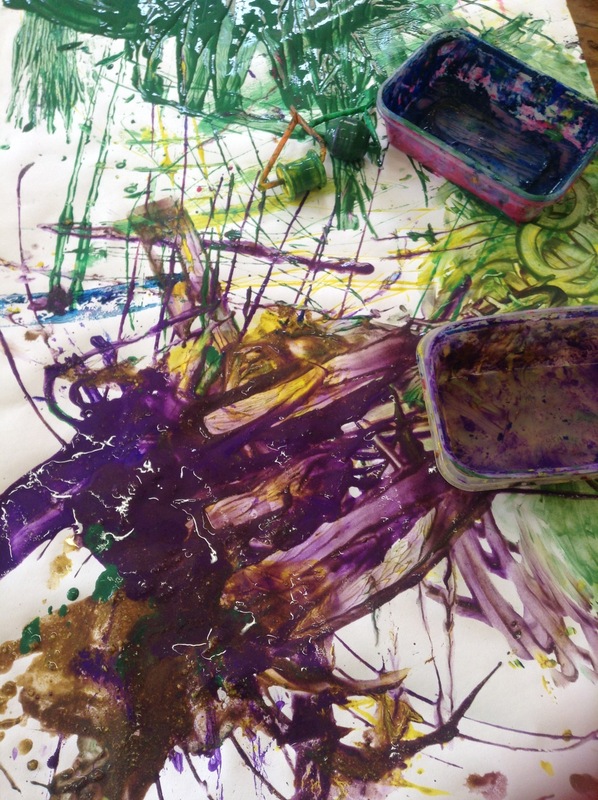 Our Tiny Adventurers had lots of messy fun making colourful patterns. 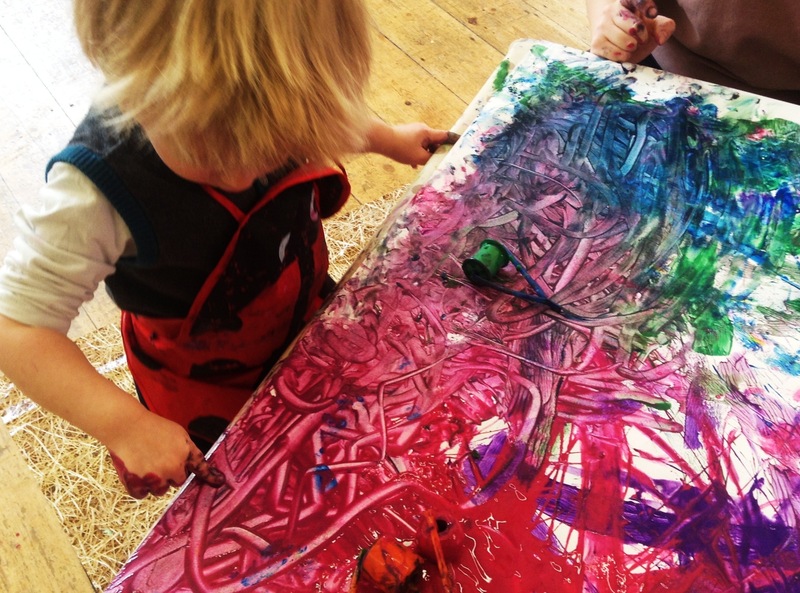 After a bit the paper was covered, and this little adventurer had lots of fun mark making in the paint. 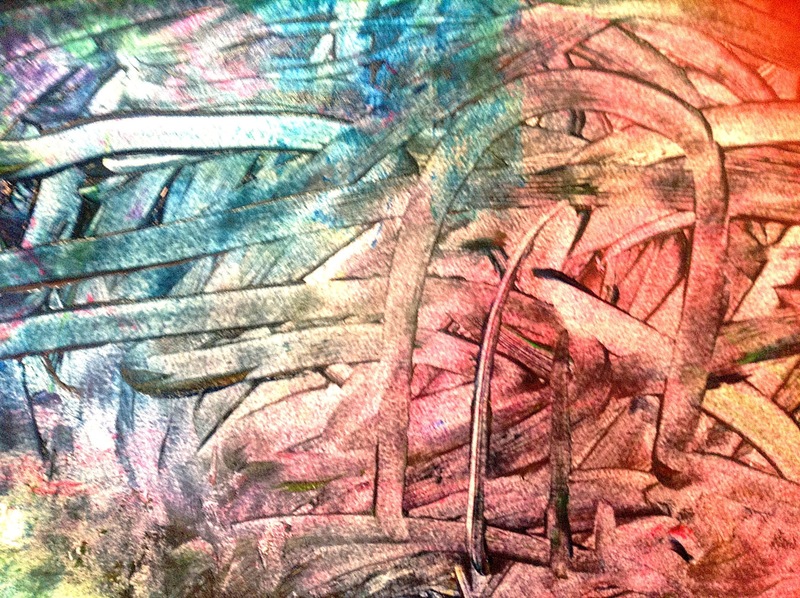 To our delight he created a gorgeous piece of toddler art! 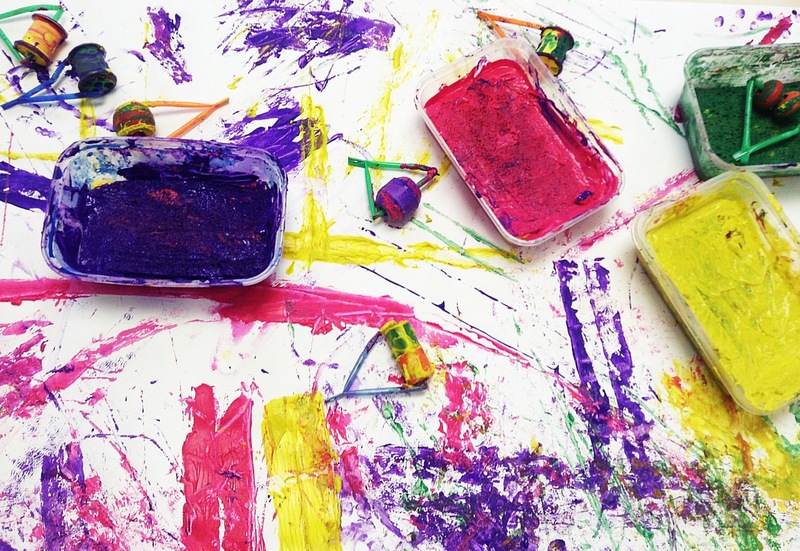 This entry was posted in Art and tagged baby activities, Creative messy play, preschool activities, toddlers and preschoolers i. Bookmark the permalink.